Chocolate Chip Muffins are such a classic, that we didn’t want to change it too much when creating our upgraded version for you. Why is it upgraded? 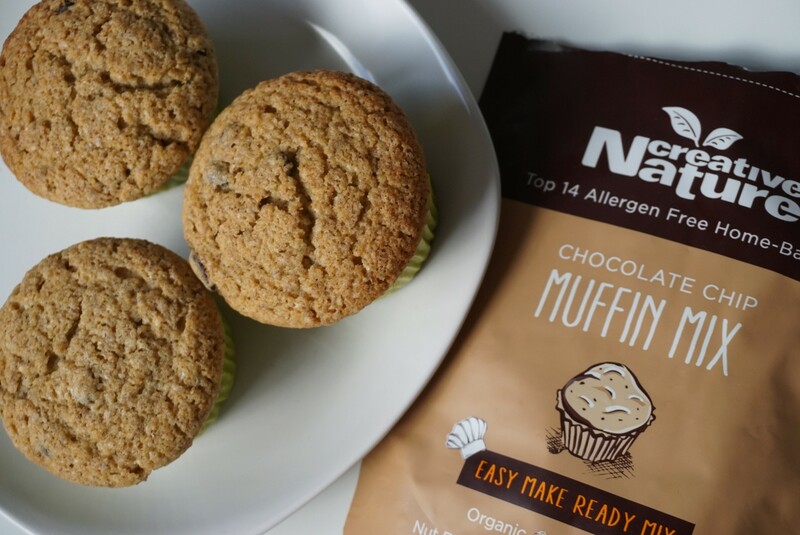 Well, it’s probably ticking more boxes than any chocolate chip muffins you’ve tried before as it’s free from the Top 14 Allergens (and coconut free too! ), Organic, Wholegrain, Refined Sugar & Sweetener Free and there’s a vegan recipe on pack!! Are you in a time crunch and want to make some delicious muffins that are just as good as your mum’s home made ones? Then this is the perfect recipe for you! Elegantly throw all ingredients in a mixing bowl and get stuck in with a wooden spoon, mixing until smooth. Add a splash more water if it seems dry. Spoon the yummy mixture into silicone muffin cases, whilst singing about unicorns and fairies. Bake for 25-30 mins until beautifully brown on top. If you are responsible, please share with friends and family. If not, eat them all!